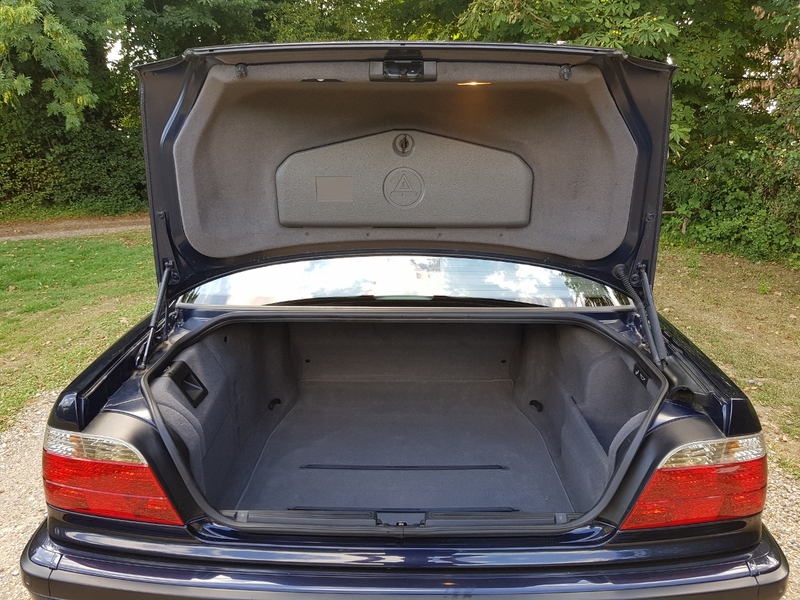 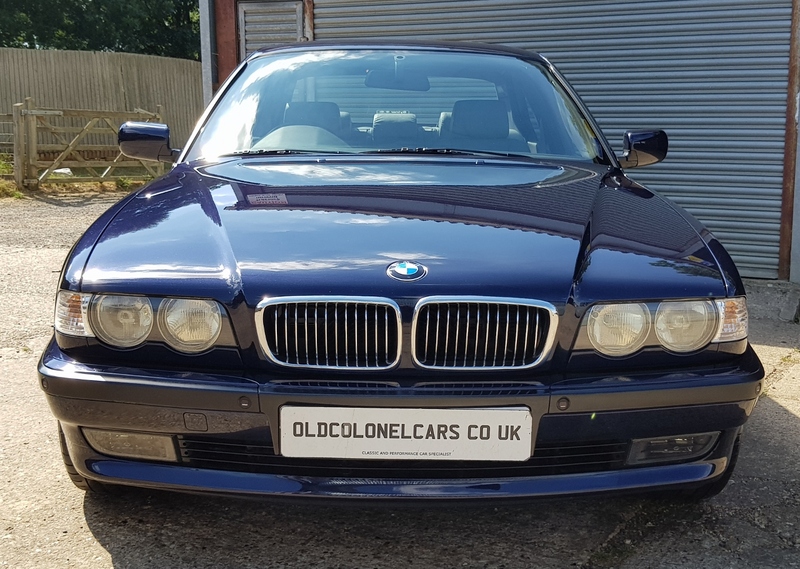 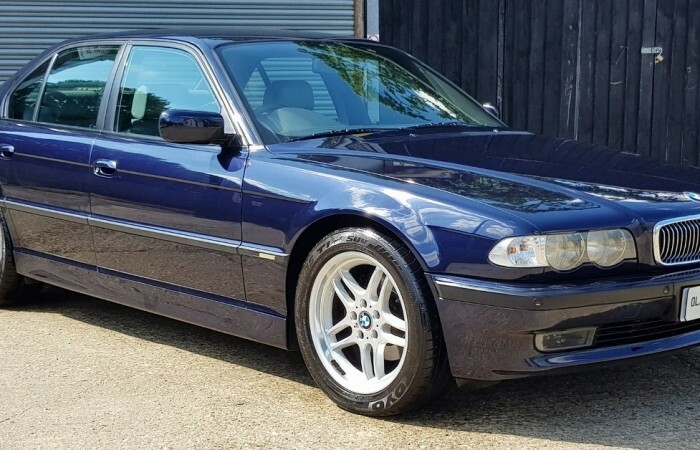 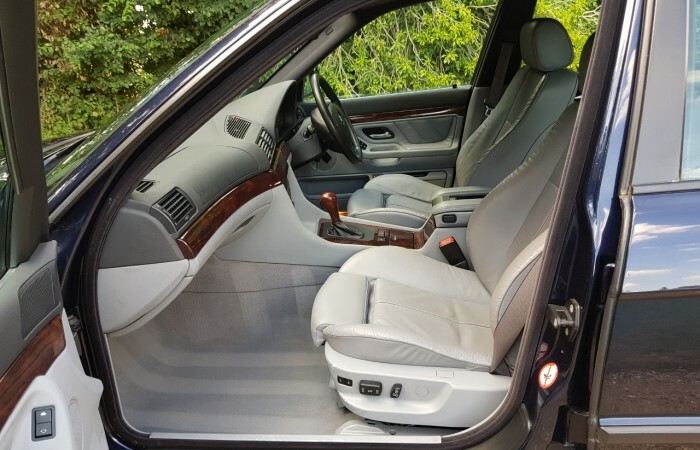 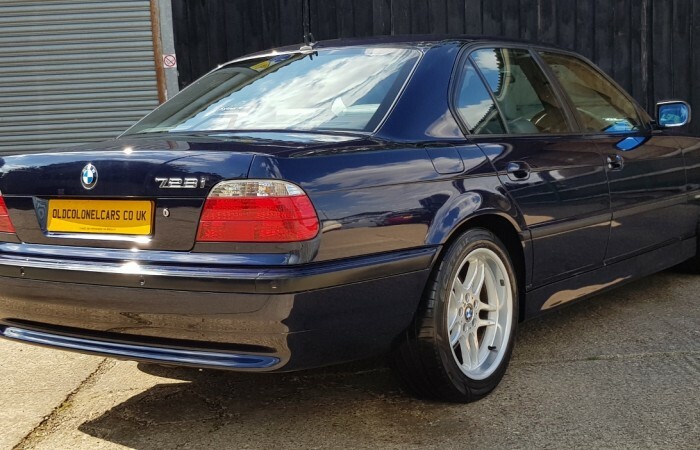 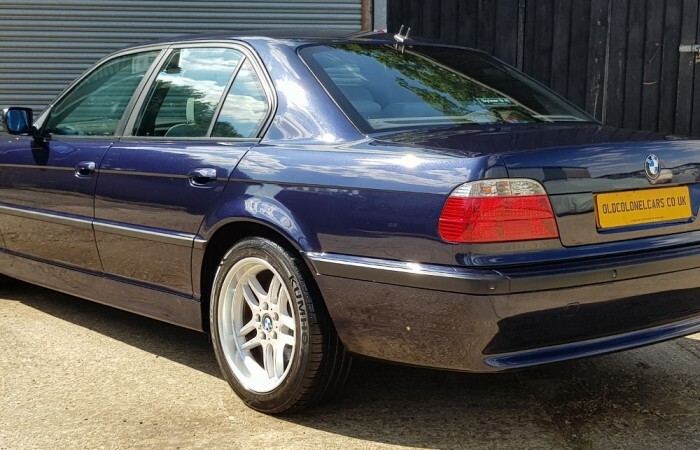 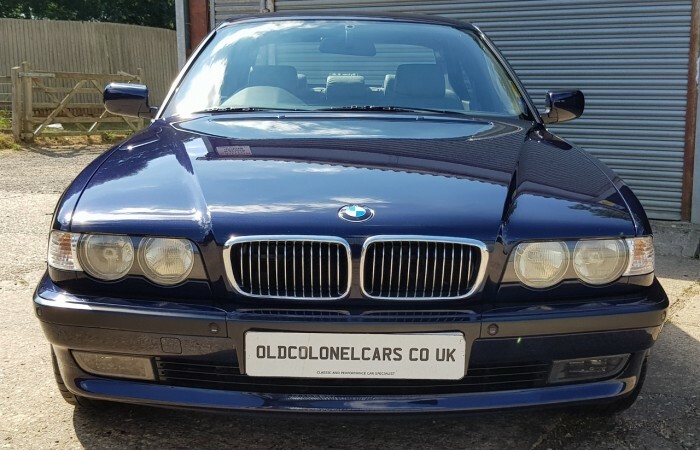 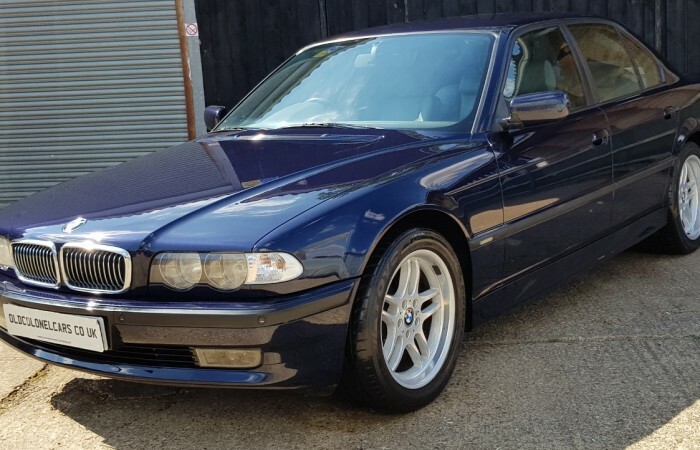 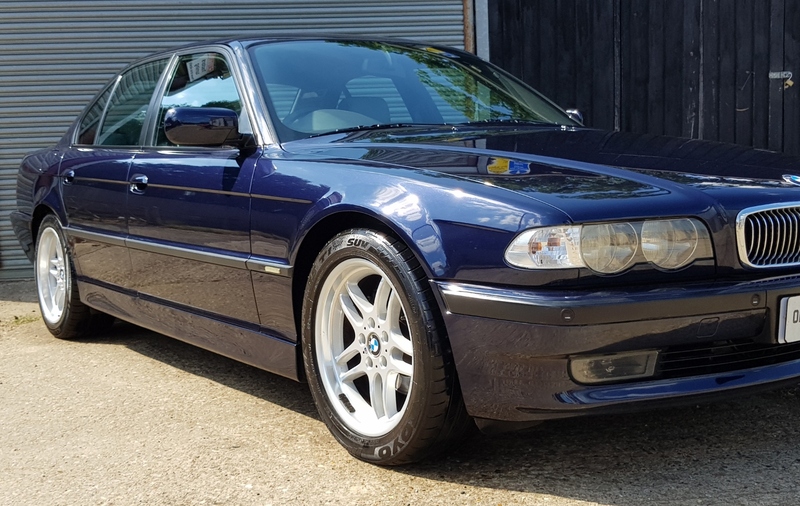 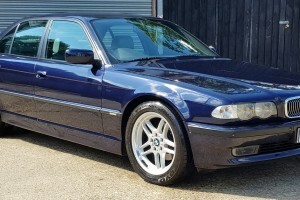 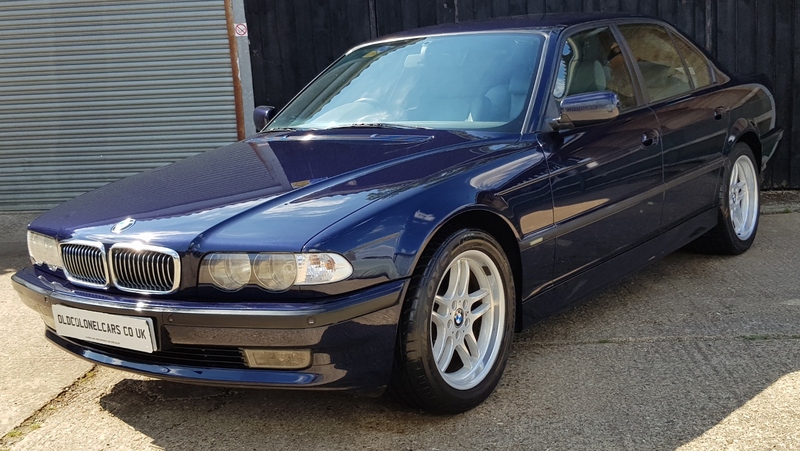 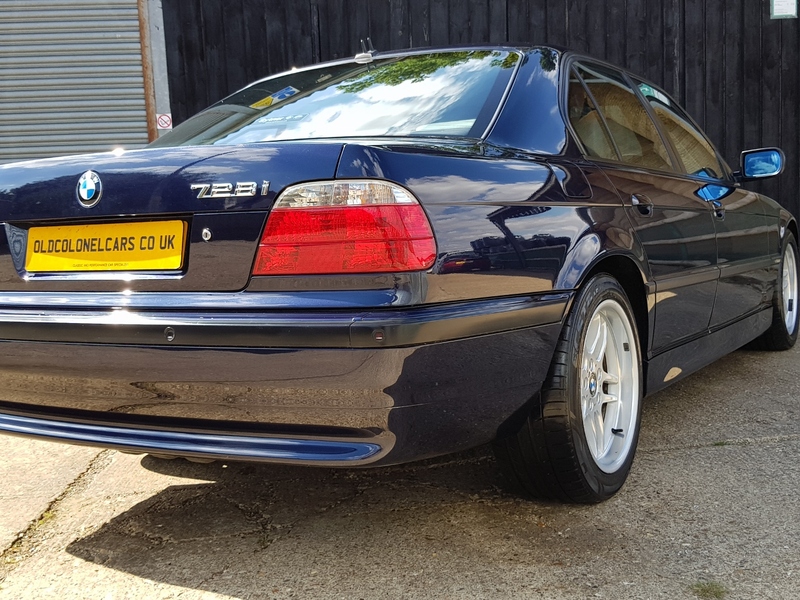 A superb, low mileage example of a late BMW E38 7 Series. 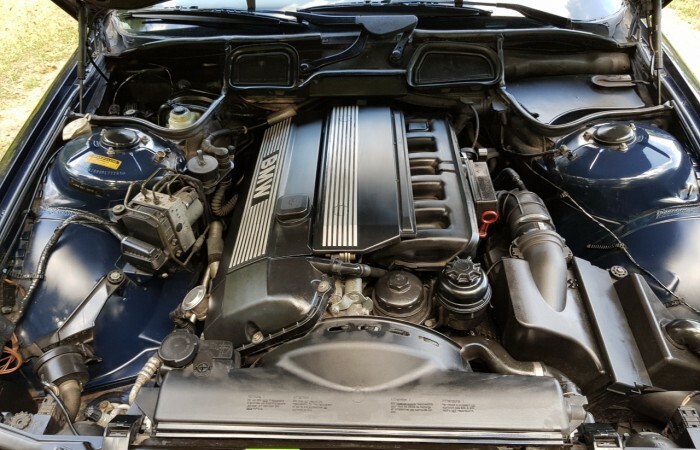 This 2000 ‘W’ registration face lift example, has covered only 52,000 Miles. 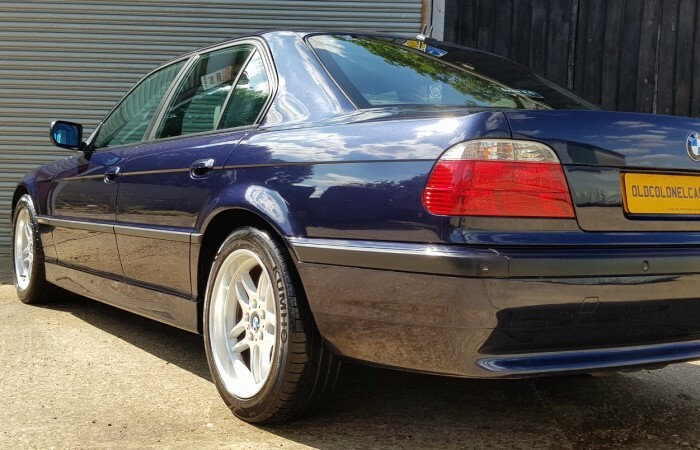 Its the M Sport model, with lovely M Parallel alloys, full service history, a really lovely example throughout. 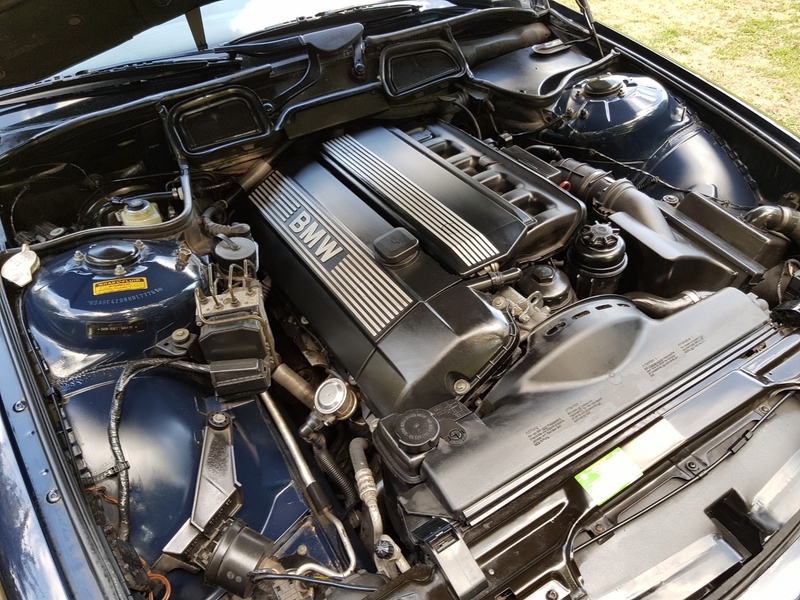 The BMW comes with the 2.8 straight six engine, so you get plenty of smooth performance, excellent looks, with good fuel economy for such a spacious and well equipped car. 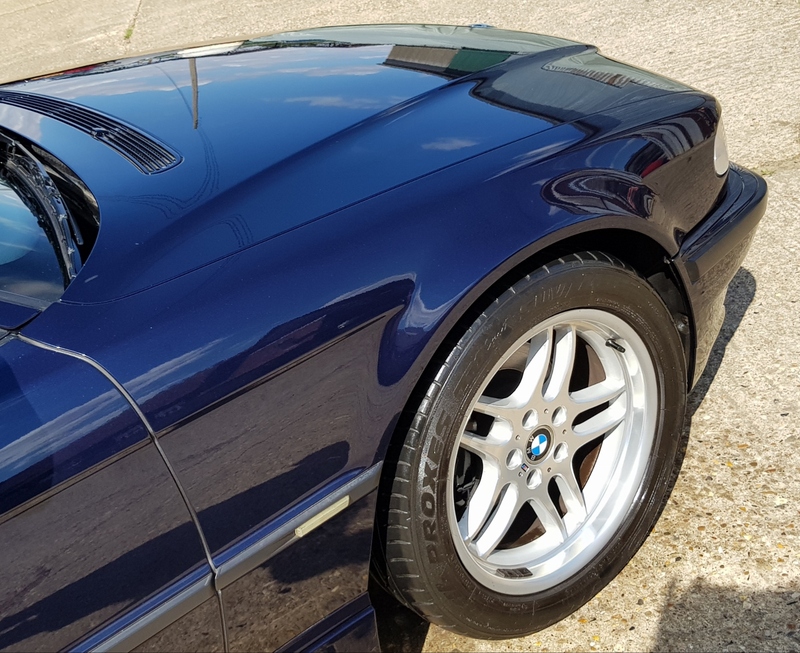 This is an excellent example , finished in one of the best colours for this period, Orient Blue metallic. 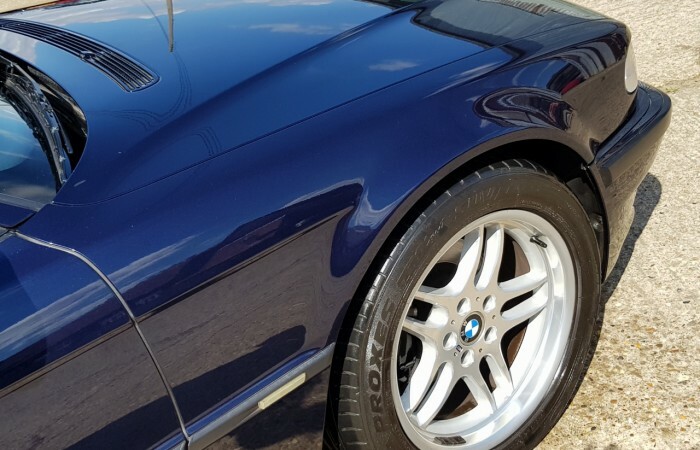 The bodywork and paintwork are in excellent shape. 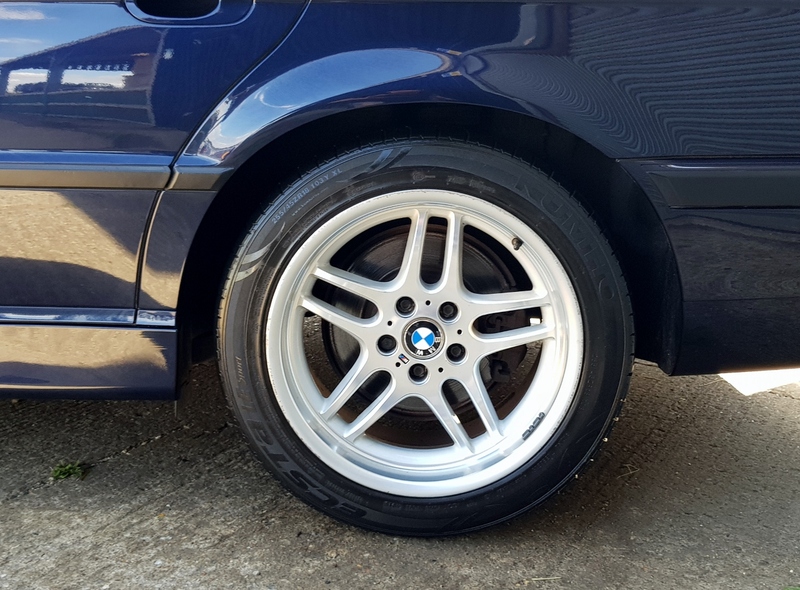 There is no rust on this example, just a deep all over shine with no noticable dings or dents. 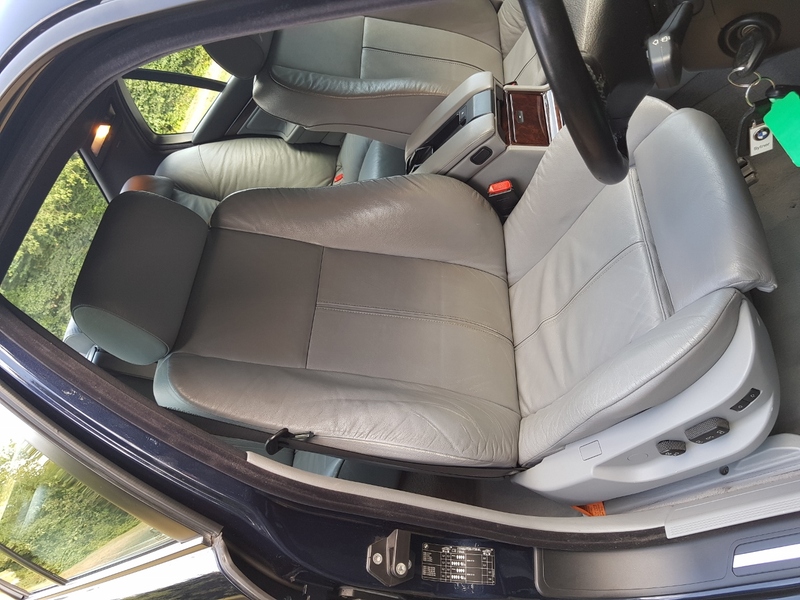 It all looks very original, its certainly been well cared for by its 3 former owners. 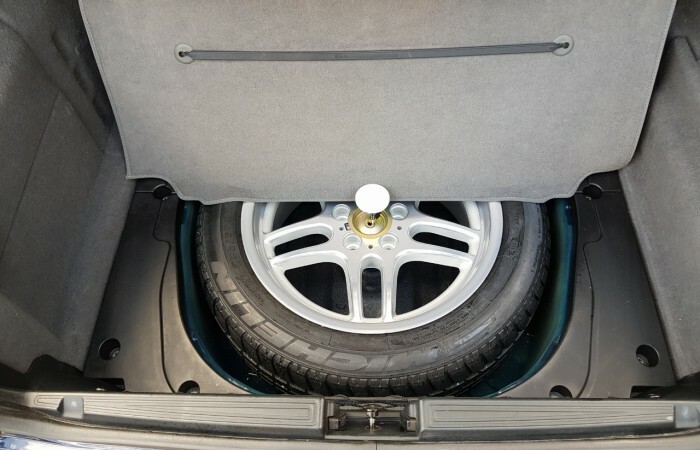 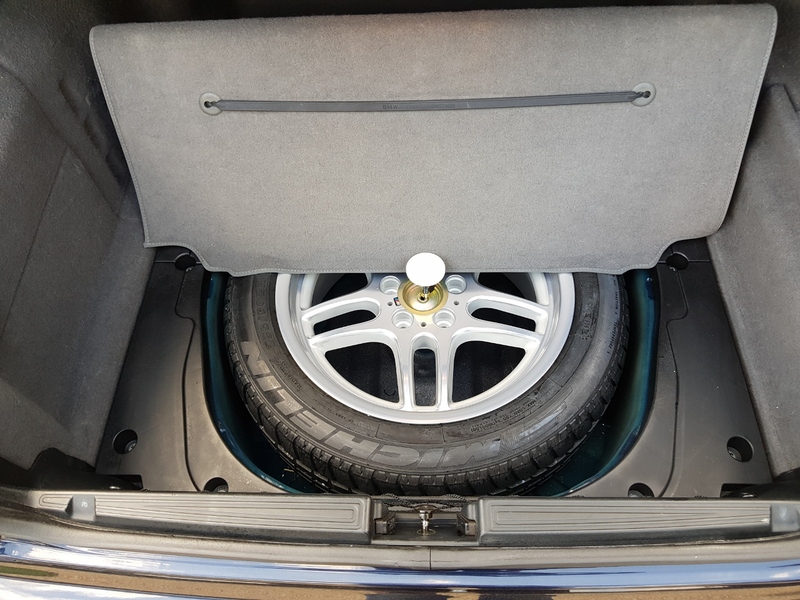 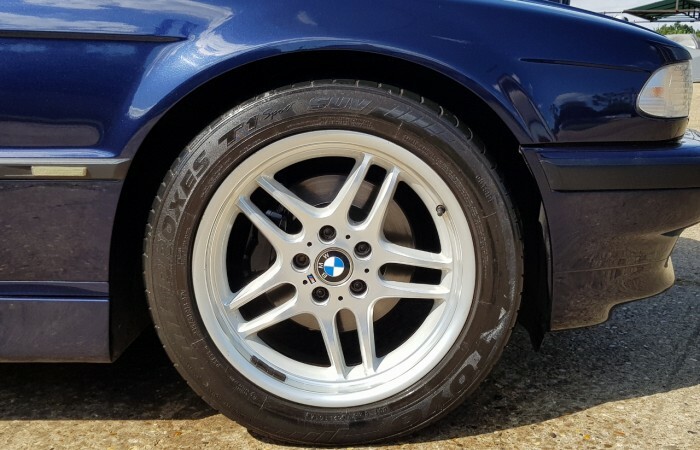 The wheels are the very sought after M Parallel alloys. 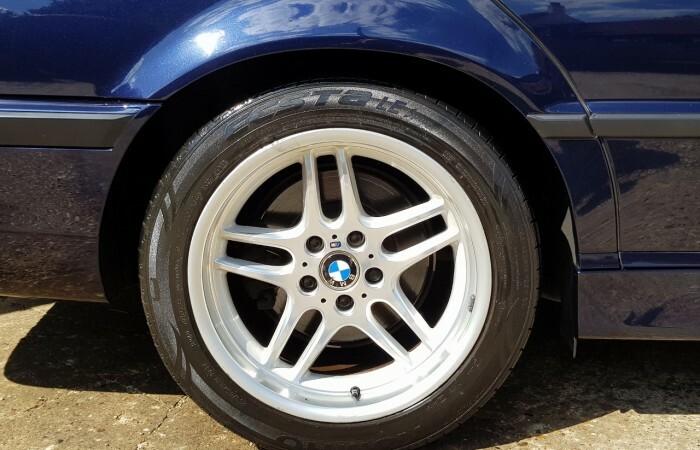 They all in lovely condition, they really are the only wheels to have on this model. 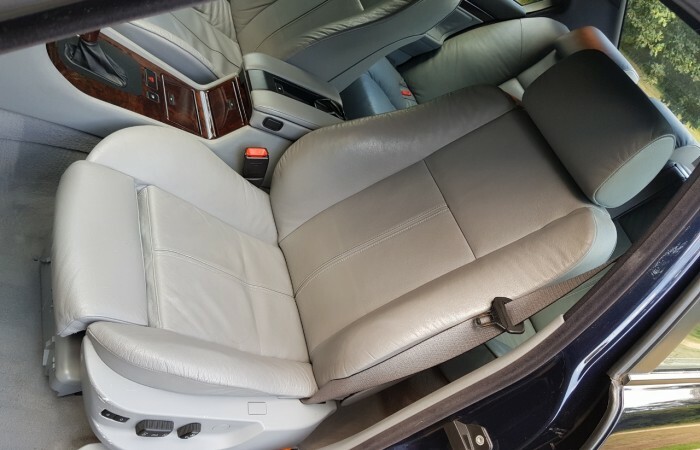 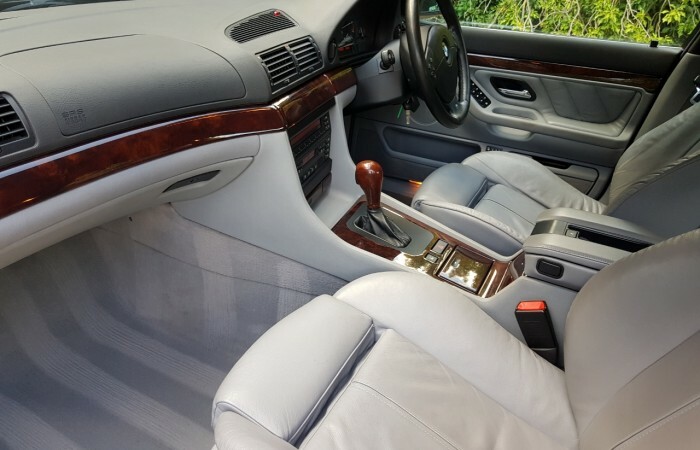 Inside this car, the leather is in excellent condition throughout. 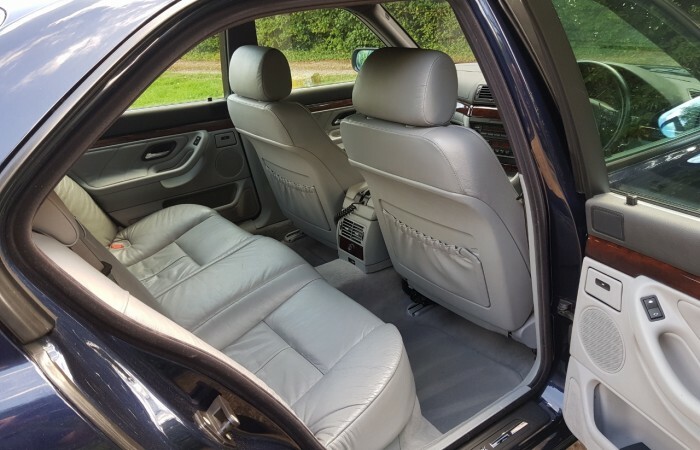 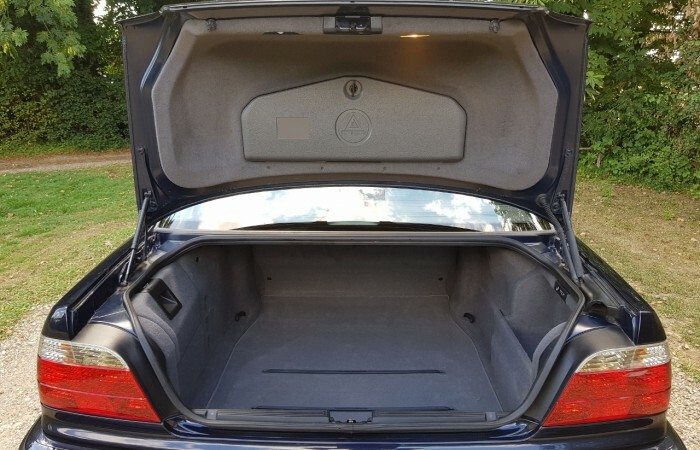 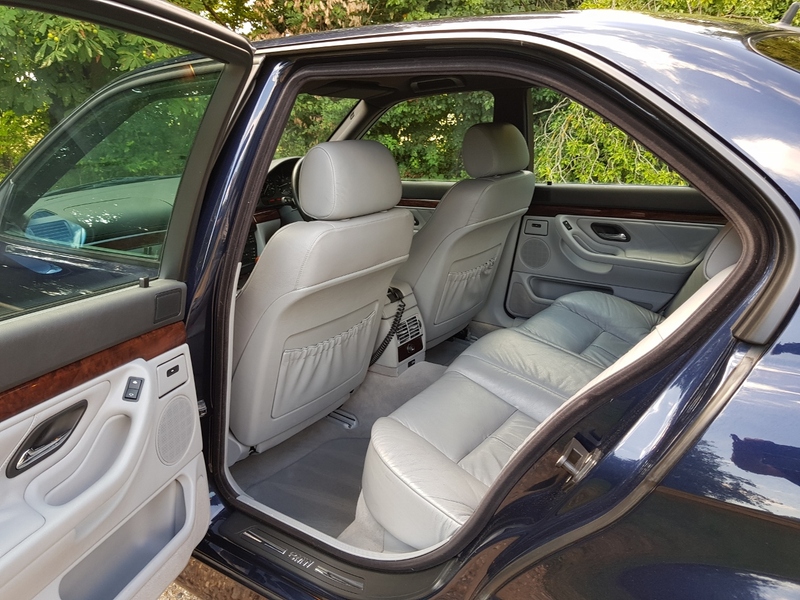 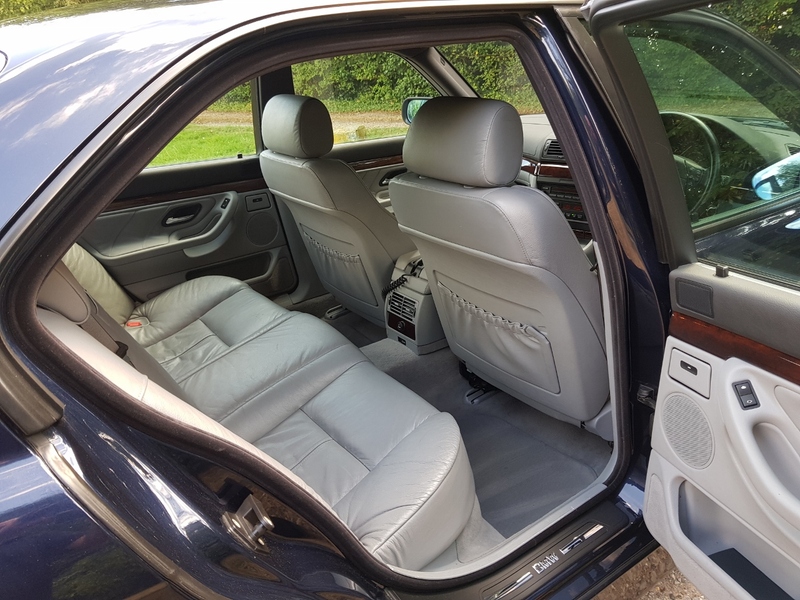 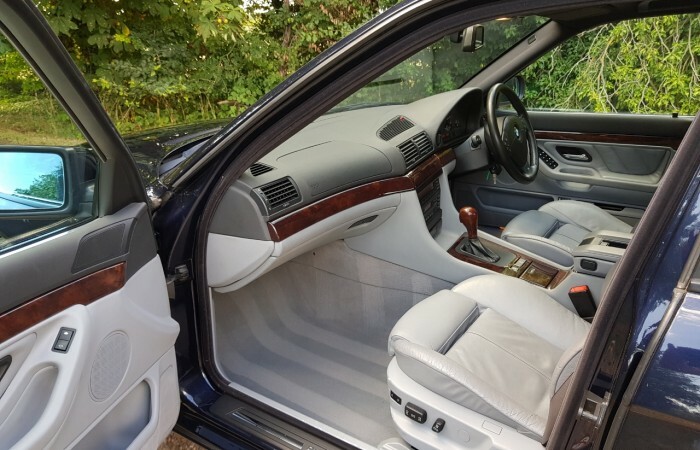 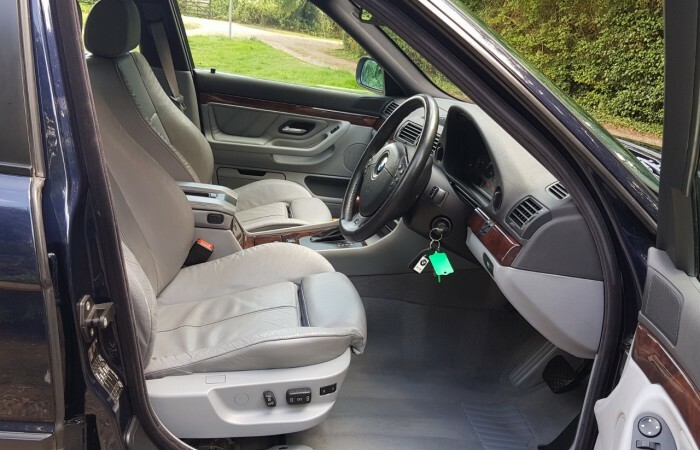 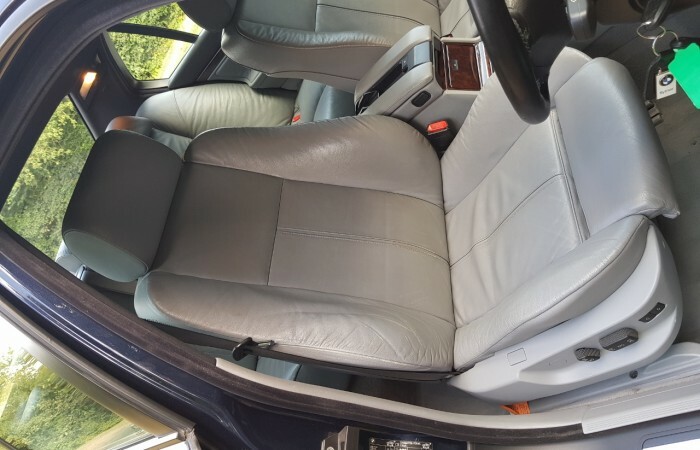 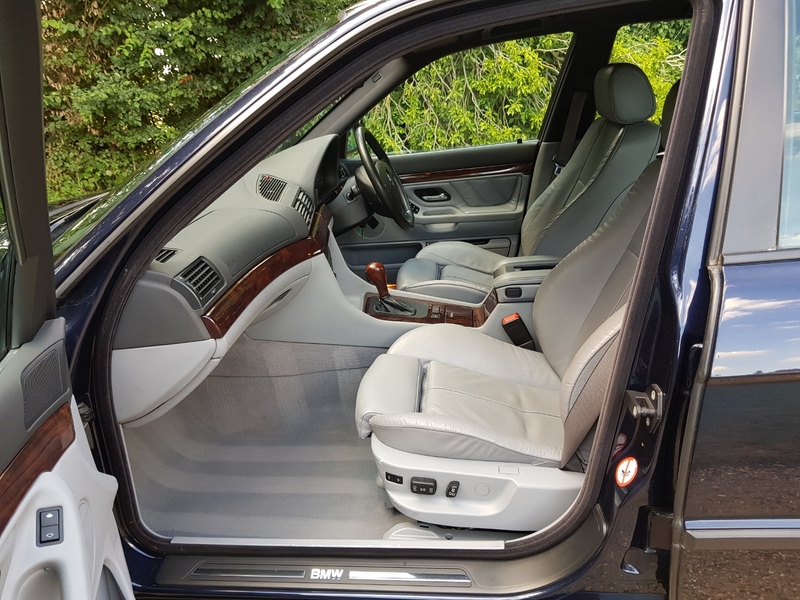 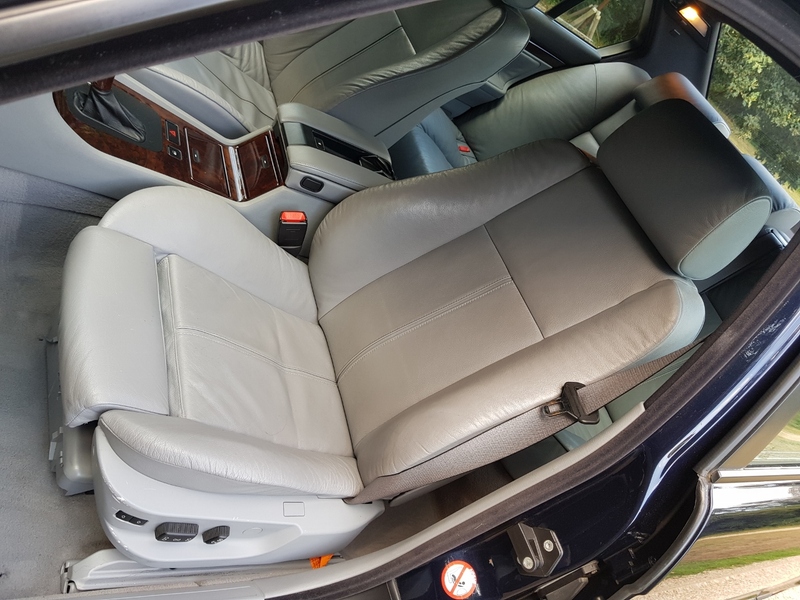 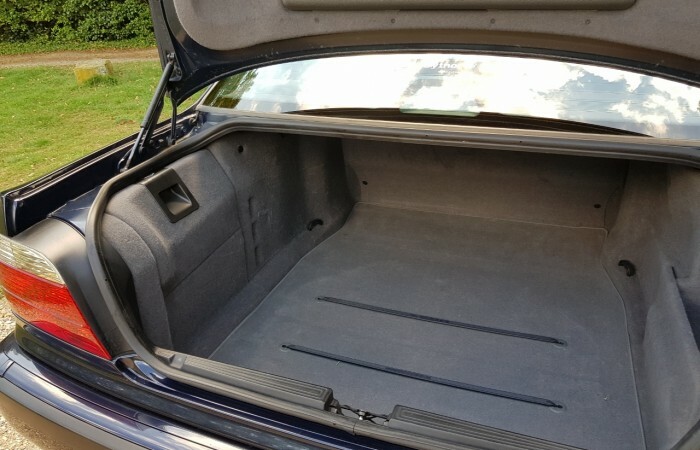 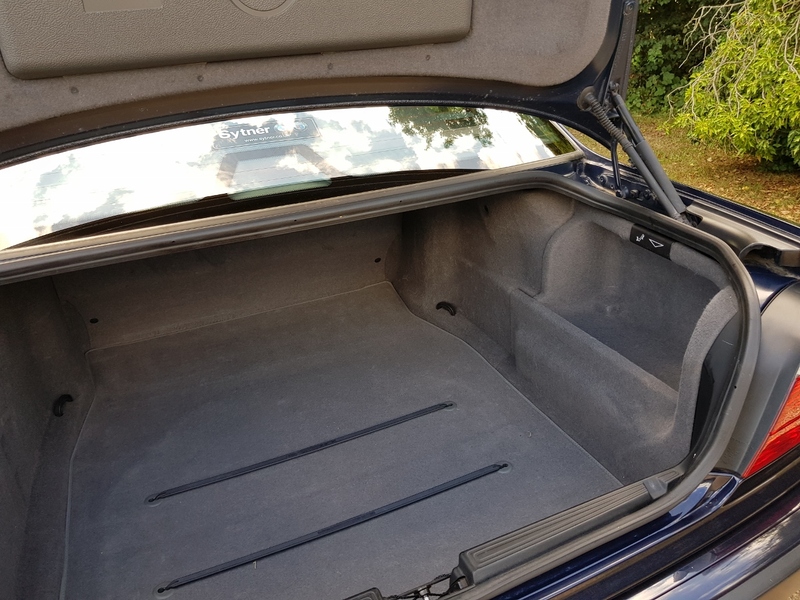 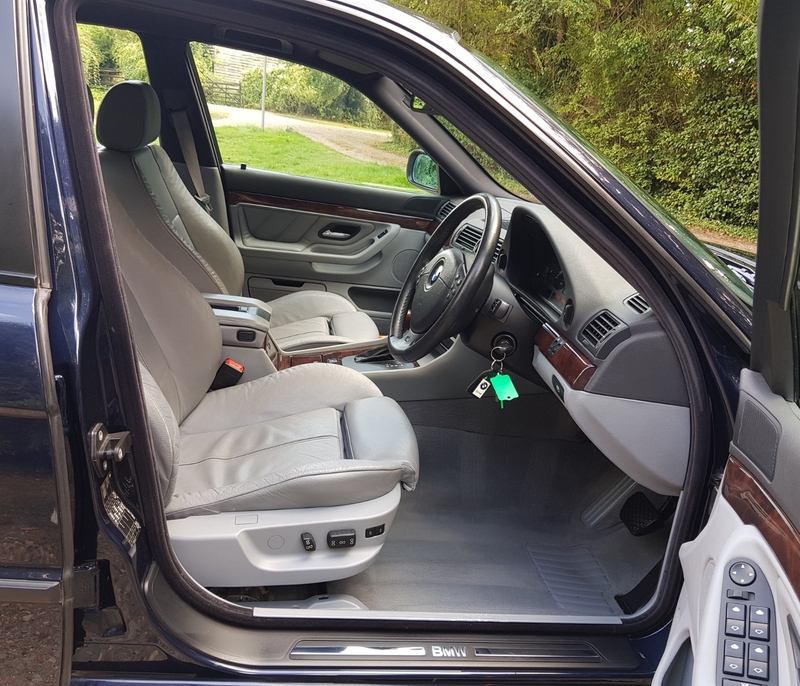 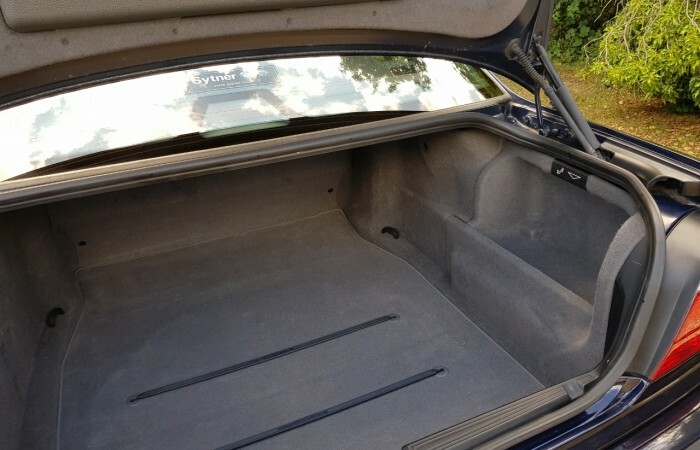 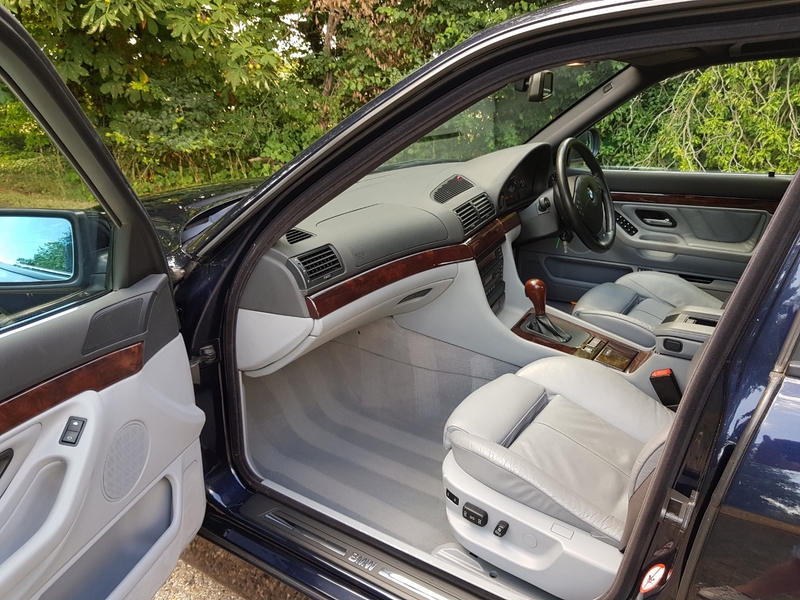 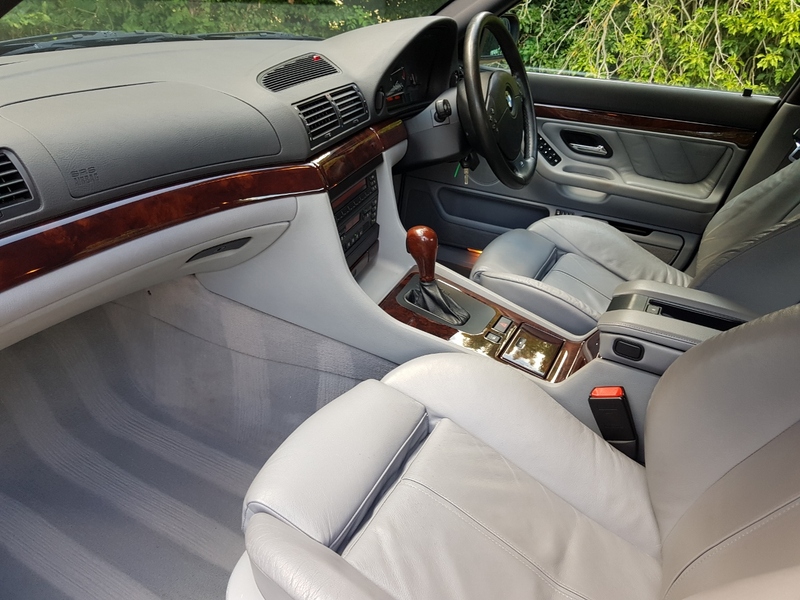 The original carpets and original over mats are unmarked, the leather is in lovely soft condition, just as you would expect for such a low mileage, well looked after car. 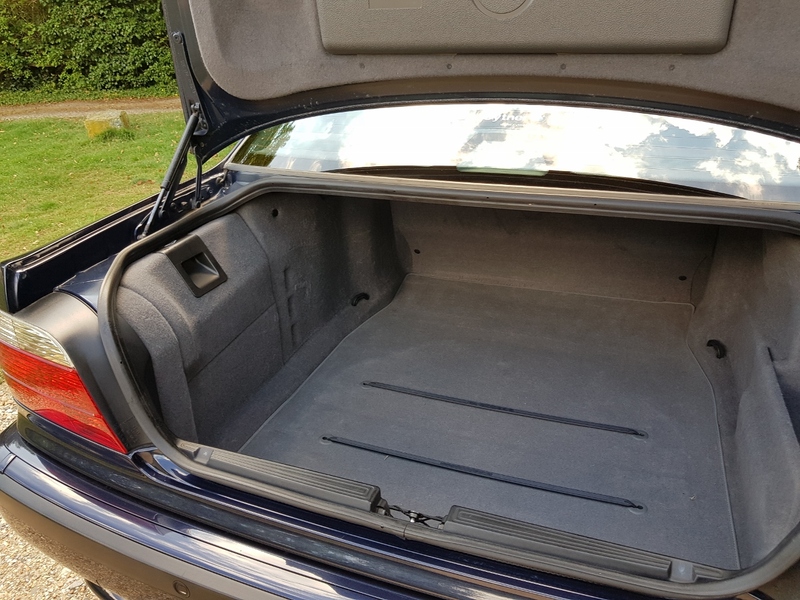 The light Grey colour, really gives this car a roomy feel. 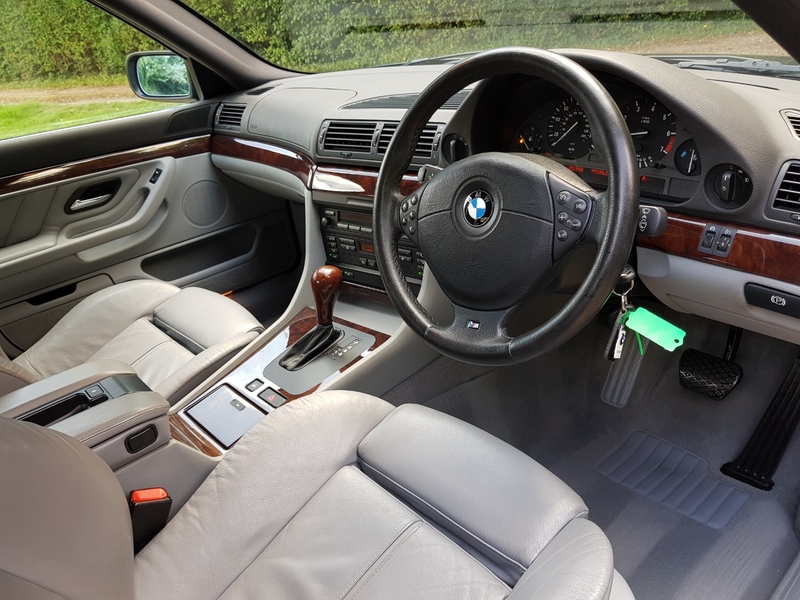 The M Sport steering wheel, the chrome kick plates, all give make this a special interior. 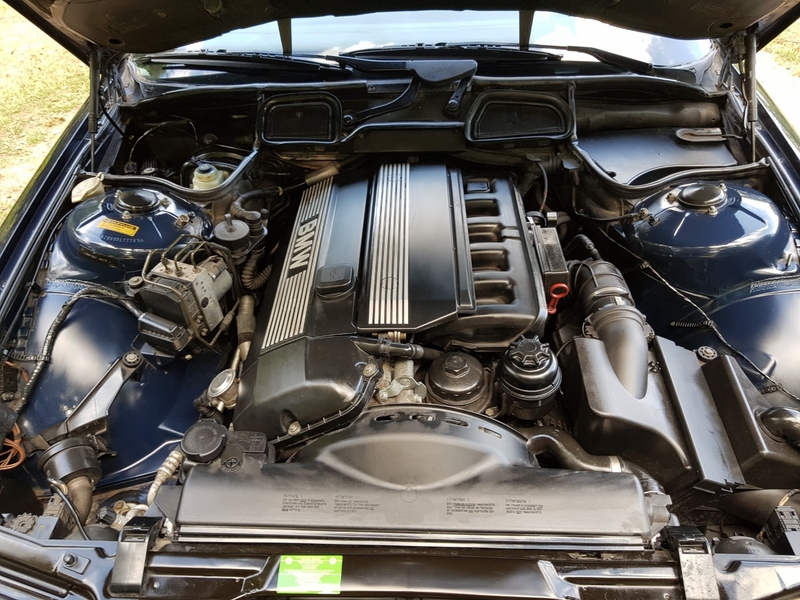 The 2.8 straight six engine sounds and performs perfectly. 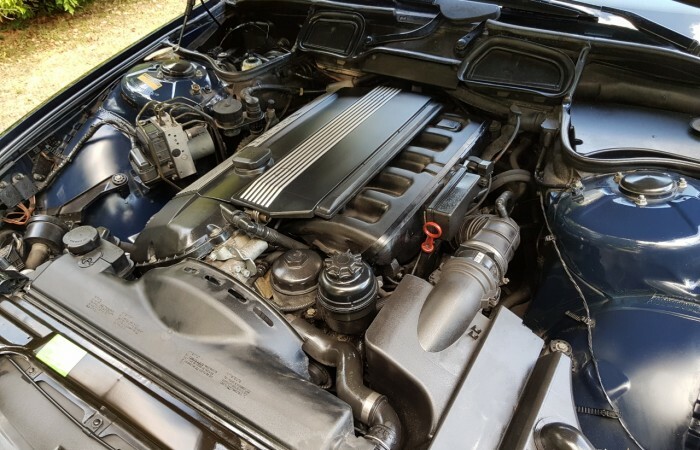 The 2.8 engine is the ideal all round engine, plenty of smooth power with very good fuel economy for such a refined car. 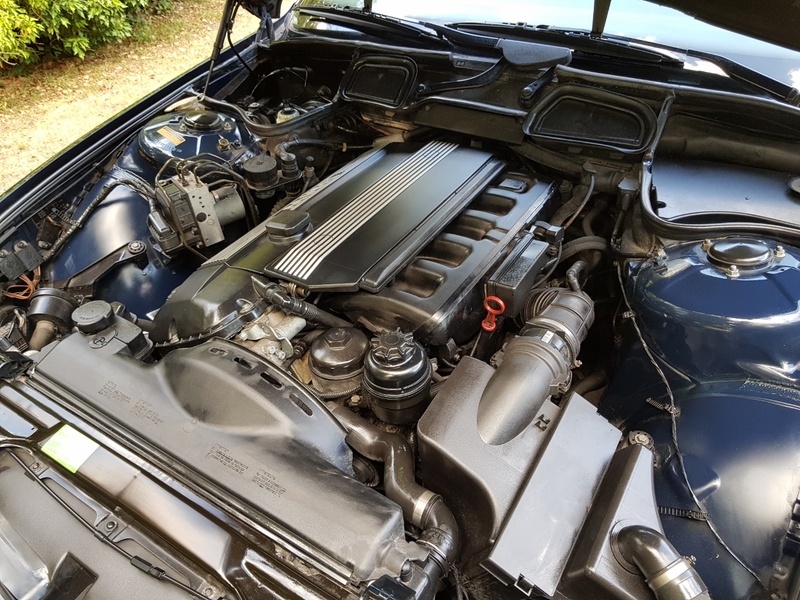 The gearbox is also super smooth, matching the engine. 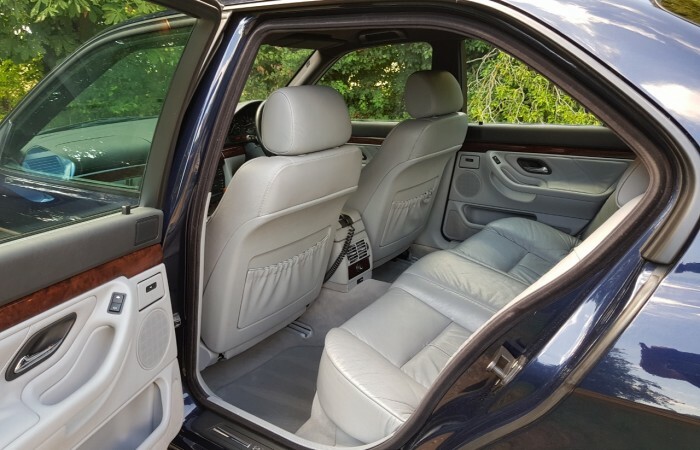 This model features the sequential option, along with Sport mode.. 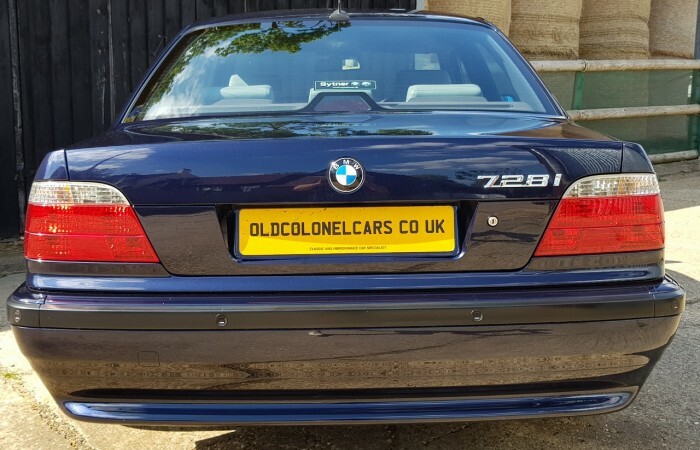 This BMW comes with a full service history. 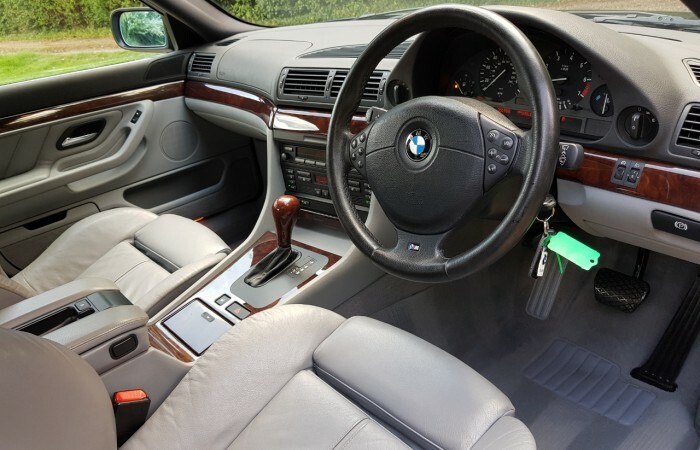 We have all the original manuals, a fully stamped original service book, service receipts, original order form, old MOTs along with VOSA mot history and HPI clear certificate. 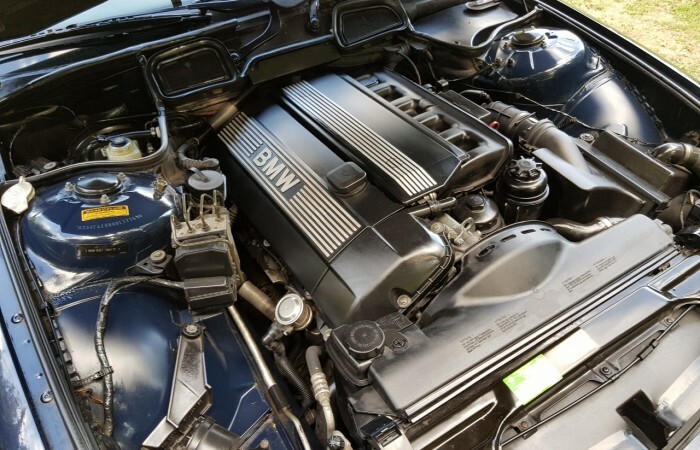 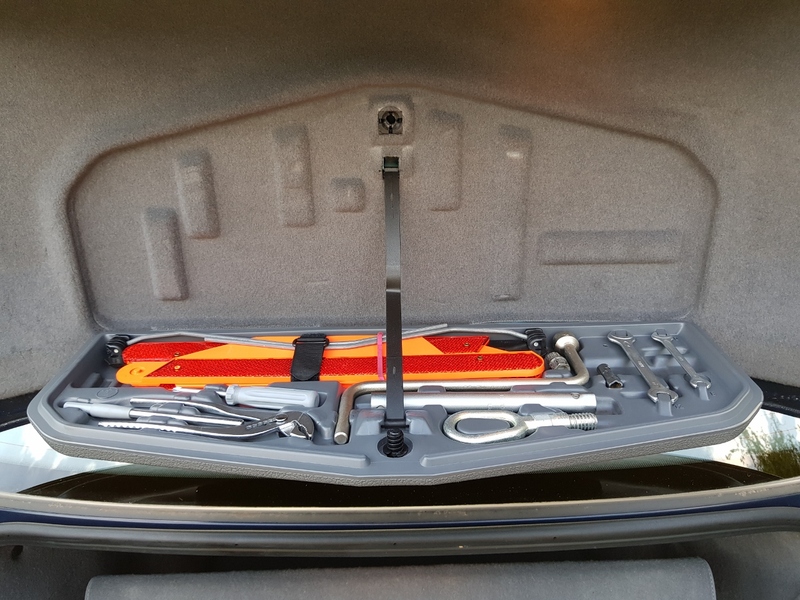 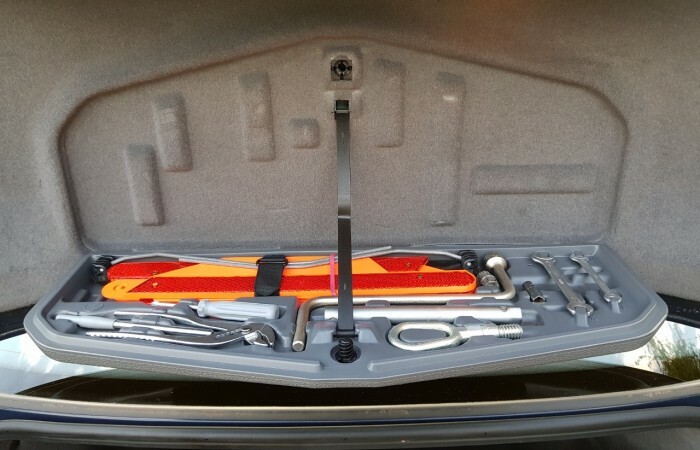 This car has always been serviced and maintained correctly. 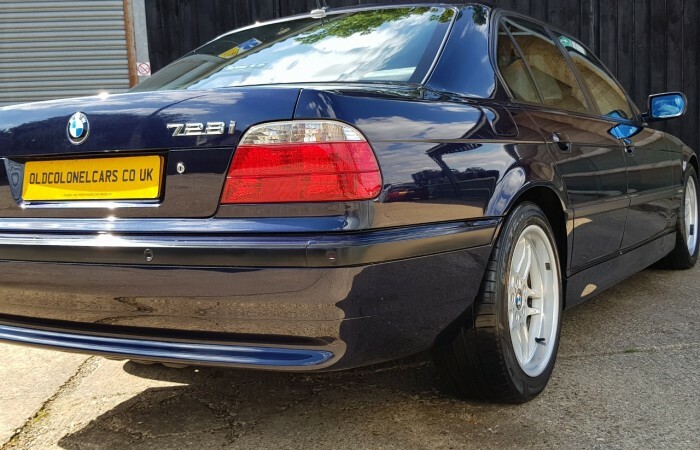 The E38 is quickly being recognised for what an excellent weekend classic they make. 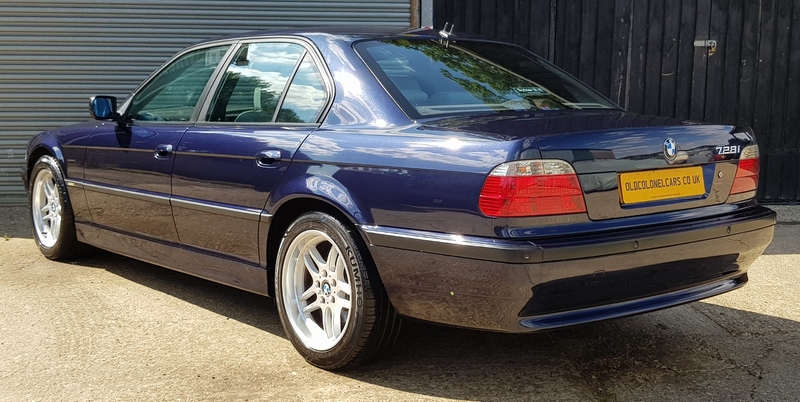 This example has very low mileage, the perfect spec, a great car to enjoy for those weekend trips. 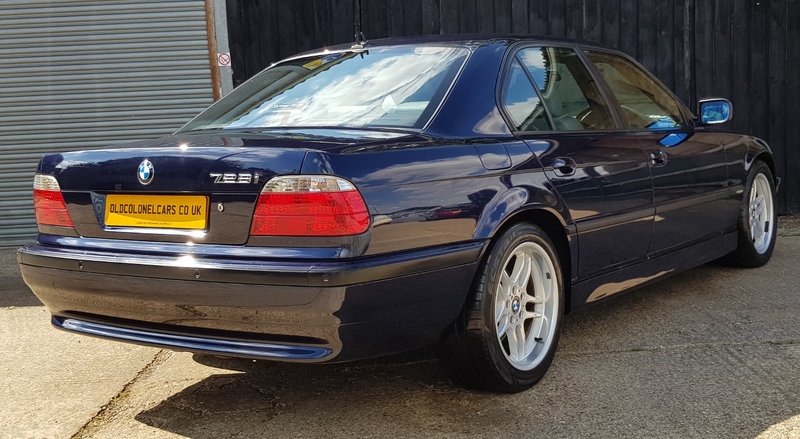 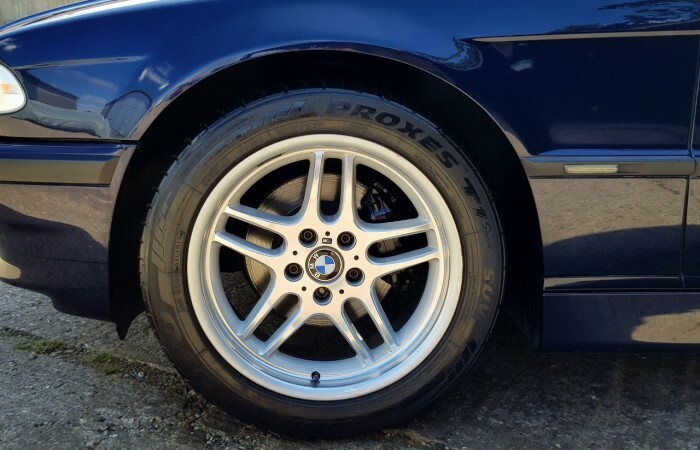 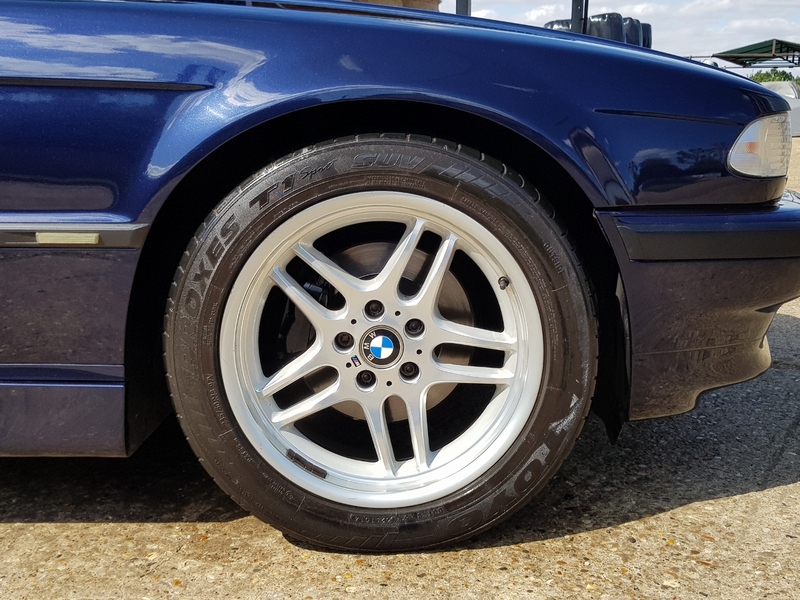 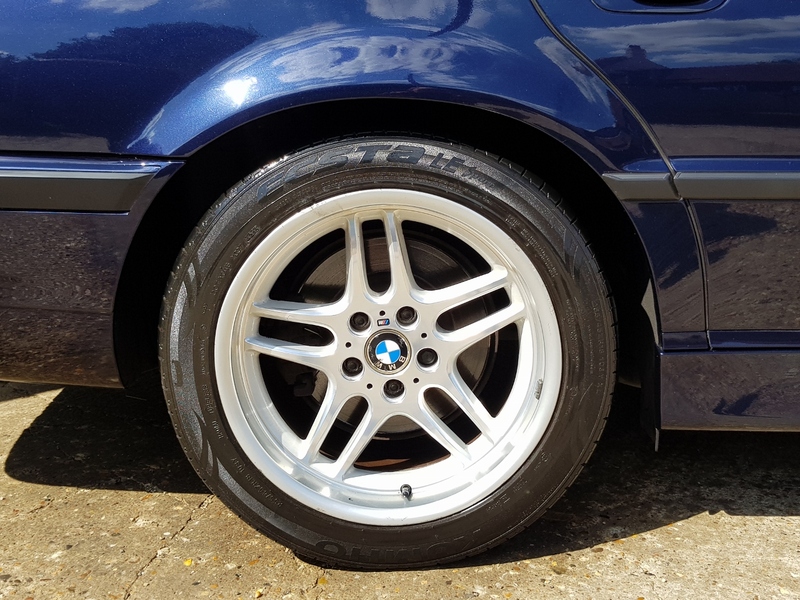 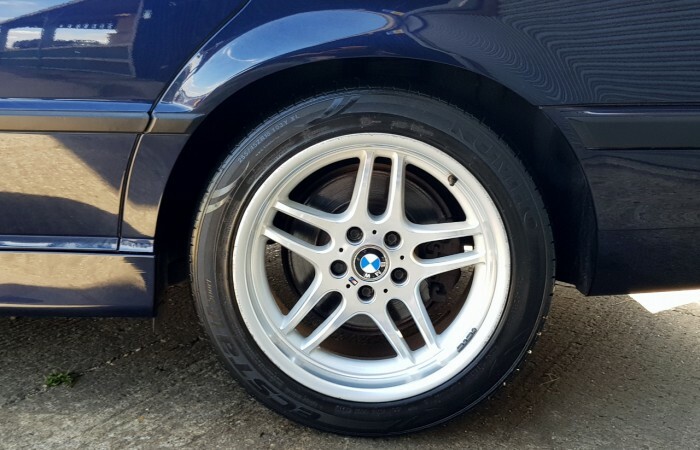 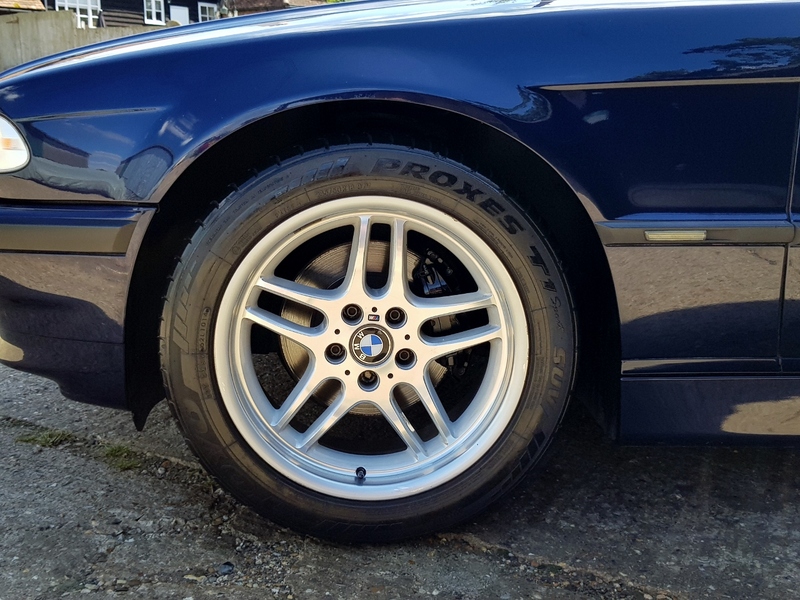 Next time you see an E38 Sport, see how good they look on the road now ! 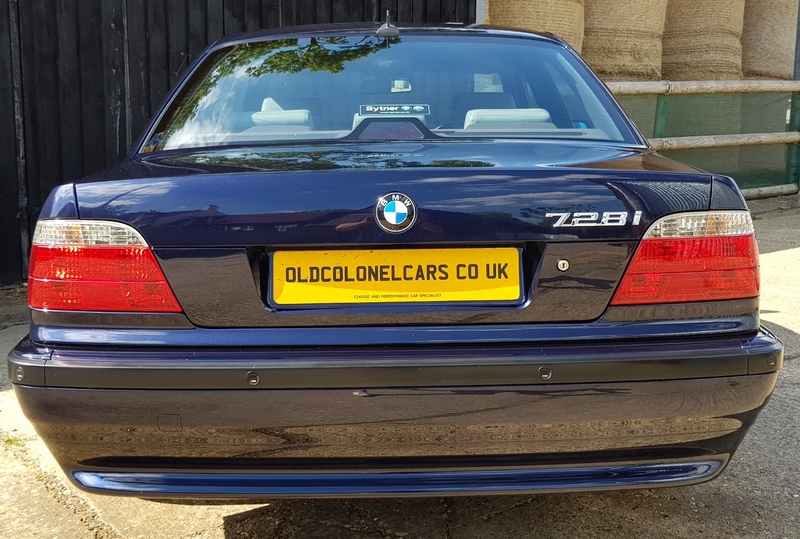 This car was last serviced at 47,186, it will come with a YEARS MOT.